The Excellence in Construction Awards ceremony is the premier event on the Association's calendar. It celebrates excellence in construction and culminates in a gala function attended by +- 400 people made up of entrants, members and Industry Stakeholders. 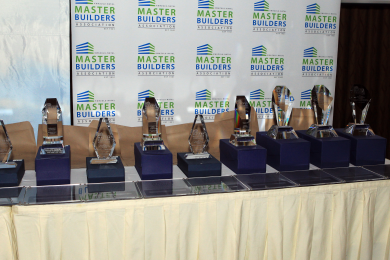 If you want to align your brand with that of the Master Builders Association, this is a great opportunity to do so. The cost varies depending on which package you go for and the reason for having three packages, is to accommodate a range of budgetary requirements.